Separation & reduction techniques – Hoondert Groep B.V.
Hoondert has various mobile breaking installations. Most of the rubble is taken in and processed into mixed granulate 0-31.5 at our Middelburg location and our site in the Vlissingen port area. Wherever possible, rubble is broken and processed on-site. This way, transport costs for the removal of unbroken rubble and the supply of mixed granulate can normally be saved on. In view of the Building Materials Decree, which came into force in July 2000, mixed granulate has to meet strict civil-engineering and environmental requirements. We anticipated well ahead of time by gaining our BRL 2506 certificate in January 2000. Our procedures describe the whole breaking process, from acceptance of rubble to the delivery of certified granulate. This quality system is audited four times a year by independent body Intron. Both the civil and environmental quality of the mixed granulate is periodically analysed in Intron’s AP04 certified laboratory. This way, when you acquire our mixed granulate, you are assured of its high quality according to the Soil Quality Decree. It is very important to keep up-to-date in this market. That is why we are a member of the Branch Organisation Mobile Recycling (BMR). Thanks to BMR we are kept up-to-date on the latest developments. Since January 2000, we have a processing location of rubble from building and demolition works. 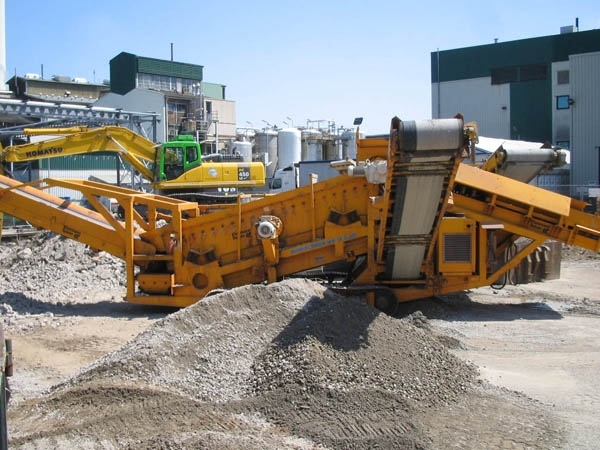 At our Middelburg location, we receive rubble and process it into certified mixed granulate. This site is equipped with a calibrated weighbridge. At the Vlissingen Environmental Terminal, we process the major part of the rubble from various works.